You should setup a bounty for sure, just because for such kind of work you need to get not only positive comments, but also some money as well (why not). btw. you also need to assing native-debugger bounty, because you already do half of works with db101 (so ppl can send some money as well). Please do set up a bounty. I would gladly contribute to this even though I have never owned an OS4 machine (something I hope to remedy soon). When I first saw your announcement that you were going to port QT I thought you either had no idea of the work involved or you were just plan crazy. I would also be glad to help out when I have an OS4 machine. Keep up your amazing work. This is likely the biggest thing that will happen to OS4 for sometime. 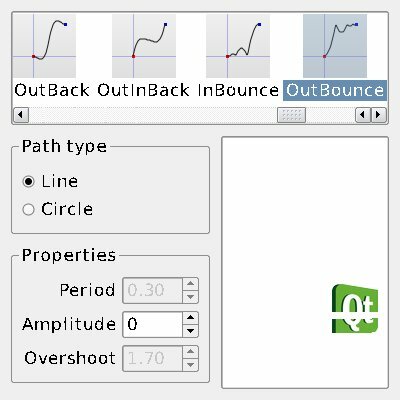 I honestly didnt know what QT was until now..so please do set up that bounty !! By the way: a good way to avoid some crashes is to use CTRL-C to exit an app instead of the closewindow gadget. wow this project has progressed a ton since the last time I checked, Big Kudos! I still need to add some keyboard controls (cursor keys and keyrelease events), and then I will make a fresh upload. I also managed to fix most of the crashes going on (fingers crossed). I'm waiting for the new update. A fresh version has been uploaded to os4depot. It's really impressive how much of these GUIs is working already. Amazing work! 1. Resizing of windowses no more crash/lockup aos, all works, but resisizing resize only intuition window, but not actual working area of qt stuff (that for all the demos/examples except widgets ones). 2. Fonts looks dirty and not crips (but we all discuss that already, so you also know about) and where they uses, it always a bit slow. Maybe idea from the BroadBlues are good to implements, because in blender they (fonts) looks fine and works fast. demos/affine - very slow , also drawing of menu are very slow too (but no crashes). I think its because of that fonts stuff ? But even rotating of penguin are very-very slow, like no opengl here. demos/embeddeddialogs - pretty impressive one, but looks like start to be slower than in first alpha (or maybe its just me). I.e. its looks not so smooth, and like its not opengl anymore. I manage to lockup it when i plays with about 5-7 dialogs, then to resize of main area, and trying to play with dialogs again. Also pretty easy way to loockup that example, its just trying to move faster some dialogs, press randomly mouse button, and choice fast any options of any dialog. But i think its general w3d/ogl problem of our aos , and maybe you have better luck with it already, because you have newer beta version of aos with fixed w3d in some areas. examples/animation/appchooser - running fine, when i press on "camera", camera spawn to the centrum of working area, and then i cant press on anyting else. In the shell window i see that everything works and handles, but cant do anything with example itself (looks like i just not so understand what that example should to do:) ). Close Button works fine, exits fine. Maybe its again about that bug about loading of textures (as i know, Hans also fix something in warp3d already, in terms of "bad loading of textures" ). examples/animation/moveblocks - works fine, fast, no problems at all. examples/graphicsview/basicgraphicslayout - works fine. Moving a bit slow, but i think its again about opengl. The good stuff its also when i move it down, i see increased scroll-bar, and its works as should. The same if i trying to scroll by arrow-keys from keyboard. ***Command 'collidingmice' returned with unfreed signals 1E000000! And again the same MinGL watch-dog window as with case in animation/animatedtiles. examples/graphicsview/diagramscene - that one are interesting as well. A bit slow drawing (because of fonts imho again). After plaing with it about 2-3 minuts and pressing all that option, programm exits fine. Something wrong with choord inside of programm, all pressing are pretty slow , but in general it works. examples/graphicsview/portedasteroids - works fine and fast. Almost SuperStardust :) No sound through (while sound is here) , but i think its just not implemented at all in your port for now. examples/graphicsview/portedcanvas - pretty interesting. Still drawing of menus are slow, and when i spawn some other window from the programm, and close main one, then its not exit correctly with saying about the same "minigl watch_dog" stuff. examples/painting/svgviewer - runs fine, plays with it, pretty interesting. Through "native" render are more or less fast, while "image" render 3-4 fps on 1ghz :) But i think its again our opengl speed. Also manage to crash it, when jumps over menu some time, and press "open", it spawn a qt-native requester (not asl one, but i think its again not implements, so not the problems), and then press chancel give me lockup. examples/widgets/analogclock - works fine, fast, resizing also works for all the working area ! cool. examples/widgets/calculator - works fine, not very fast through, and when it starts, i can see some strange windowses which spawns on half of seconds and then closes. examples/widgets/calendarwidget - works fine, but i can see how all the text are draws. Feels a bit slow , but all works fine. examples/widgets/codeeditor - works fine. Not ultra fast on typing of text, but works fine. examples/widgets/digitalclock - all is fine (but as usuall i can detect that before actual window, some other window spawns and closes). examples/widgets/styles - all is fine. A bit slow, but all works. examples/widgets/wiggly - all is fine. You did pretty big and hard job already for sure. Its really interesting to follow your progress, and i everyday refresh sourceforge/qtamigaosnative/ page :) If you need any kind of help in terms of testing/bug hunting, let me know. And thanks a lot for all that stuff. Btw, can you upload somethere that version of minigl, i want to try examples with it as well. and thanx for the extensive testing kas1e!